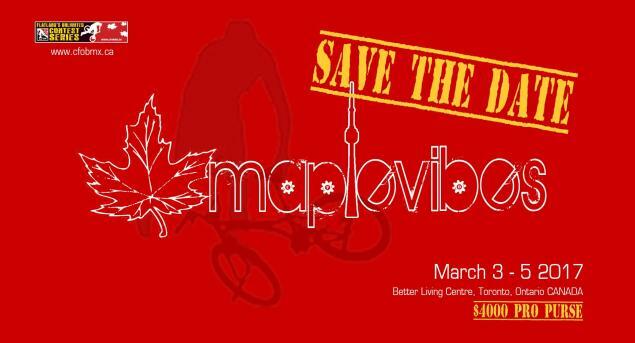 Thanks to Jamie Sinyard for sharing the date of the next annual Maple Vibes contest at the Toronto International Bikeshow. Next year it's going to be March 3 - 5. Save the date! The location is the well known Better Living Center and there is a 4000$ pro purse.